The idea of putting some carbs in a bowl with meat and some sauce is pretty universal and found in cuisines around the world, but the Korean version — bulgogi with rice — is one of my favorites. Preparing the steak sous vide also ensures tender and succulent bulgogi, no matter what cut of meat you use. Bulgogi is a general term that literally means “fire meat.” It’s Korean barbecue at its most basic and usually involves beef that’s thinly sliced, marinated, and then quickly sautéed or grilled over high heat. Bulgogi has a complex flavor due to the marinade and sauce. Depending on who is making it and what goes into it, the finished dish can range from slightly sweet to very spicy. WHY MAKE BULGOGI SOUS VIDE? Classic bulgogi is made with thinly sliced steak cooked over high heat, but I’ve found that I like to cook my steak sous vide before searing it on the stovetop. This makes sure the meat is super tender and has lots of flavor. Cooking the beef sous vide also allows you to use slightly cheaper cuts of steak (such as flank) and transform them into something that tastes more luxurious! This makes a tremendous difference in not only how you prep it, but how it tastes. The results are out-of-this-kitchen delicious. WHAT’S THE BEST CUT OF BEEF FOR BULGOGI? Honestly, there is no hard and fast rule when it comes to what cut of beef you should use for these bulgogi bowls. Something like a ribeye steak is what I would normally use if I’m slicing it very thin and cooking it on the stovetop, but sous vide allows for other options. When I cook sous vide, I like flank steak because I can slice it a bit thicker and the results are very tender. It has a beefy flavor that balances well with the spicy sauce. Instead of tiny slivers like you sometimes see, you get tender seasoned slices of steak. But you could also use a ribeye steak using the sous vide method, which would be a more traditional approach. 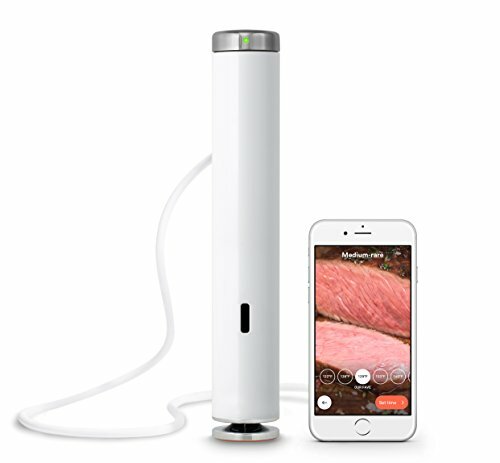 The next decision is whether you should cook the steak whole or slice it before you cook it sous vide. Just for ease, I prefer to cook the steak whole, and then slice and quickly sear the meat with the sauce before serving. Because the recipe calls for adding some soy sauce, ginger, garlic, sriracha, and brown sugar to the sous vide bag, the steak is very flavorful. The steak cooks in the marinade and absorbs all the flavors. I like to cook the steak at 130°F. which is close to rare, but this allows you to sear the steak later on without overcooking it. You could also cook it in advance and then slice and sear the steak on another day for an even quicker meal! While the steak cooks, you can prepare the other ingredients for the bowl. This should definitely involve a big bowl of rice and some kimchi. I also like some fresh herbs in my bowl and toasted sesame seeds. Some like to eat their bowls in separate components, but I like to mix everything together. The sauce I give in this recipe is a basic Korean bulgogi sauce—it’s a nice balance of sweet and spicy. Addictive stuff! When your steak is done, let it rest for a few minutes and then slice it as thinly as you like across the grain of the meat. This is very important, especially if you use flank steak; if you don’t slice it against the grain, your slices will be very tough. Add a drizzle of oil to a hot skillet and sear the meat very quickly. The steak is already cooked, so at this point, you’re just adding some sear. When I do it, I don’t really even flip the meat—it stays medium-rare on one side and gets a little sear on the other. Add some sauce, quickly toss everything together, and move it right into the bowls! Stir-fried or steamed veggies make a good addition to this meal if you’d like a little more in your bowl. 1 Prep the steak for sous vide: Add steak to a large gallon-sized zip-top freezer bag. Add the grated ginger, garlic, soy sauce, brown sugar, rice wine vinegar, sesame oil, and black pepper to the bag and mix well. 2 Seal the bag: Seal the bag by using the water-displacement method to help press out all the air: Just slowly lower the bag with the steak into the water, letting the pressure of the water press the air through the top of the bag. Once the top of the bag reaches the water line and all the air has been released, seal the bag. At this point you can cook the beef immediately for storage in the fridge for later (2 days maximum), or freeze for up to a few weeks. 3 Heat the water: Fill a pot with water and place your immersion circulator inside. Set the temperature to 130°F and let the water come up to temperature. 4 Cook the steak sous vide: Once the water has come to temperature, submerge the sealed bag of steak completely to ensure the food cooks evenly. Cook for at least 2 hours or up to 3 hours, remove from the water and turn off the circulator. At this point, the steak can be cooled and refrigerated for up to 2 days before slicing and searing, if desired. 5 Meanwhile, prepare rice, stir together sauce, and prepare garnishes. Stir together the chili sauce, soy sauce, honey, and lime juice. and reserve about 1/4 cup to drizzle on the bowls later. Use the rest of the sauce when searing the steak. 6 Slice and sear the steak: When the steak is ready, remove it from the water and let it rest for 10 minutes. Remove the beef with tongs from the bag and slice the meat against the grain into thin strips. 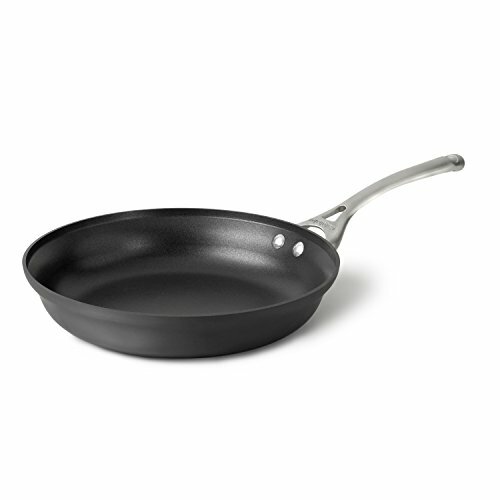 Add reserved sauce to the skillet with the beef and combine for another 15 to 20 seconds. 7 Garnish and serve: Serve beef over rice with juices from the skillet. Sprinkled with sesame seeds and add some kimchi on the side. Garnish with cilantro and/or Thai basil. Drizzle bulgogi sauce over the dish. Hello! All photos and content are copyright protected. Please do not use our photos without prior written permission. If you wish to republish this recipe, please rewrite the recipe in your own unique words and link back to Sous Vide Beef Bulgogi Bowls on Simply Recipes. Thank you! I don’t want to cook food in plastic. Is there another way I can cook the steak and get a similar result? Hi, Eric! I checked with Nick, the author of this recipe, and we both think that your best bet for this recipe is to cook it the old-fashioned way: on the stove top! Use rib-eye steak, thinly slice it, and then quickly sear it over high heat on the stove top. Enjoy! I just bought an Anova circulator and am just now experimenting with recipes. This one definitely has my vote. The recipe looks flavorful and I like that I can prepare this a day ahead and just sear. Great tutorial!